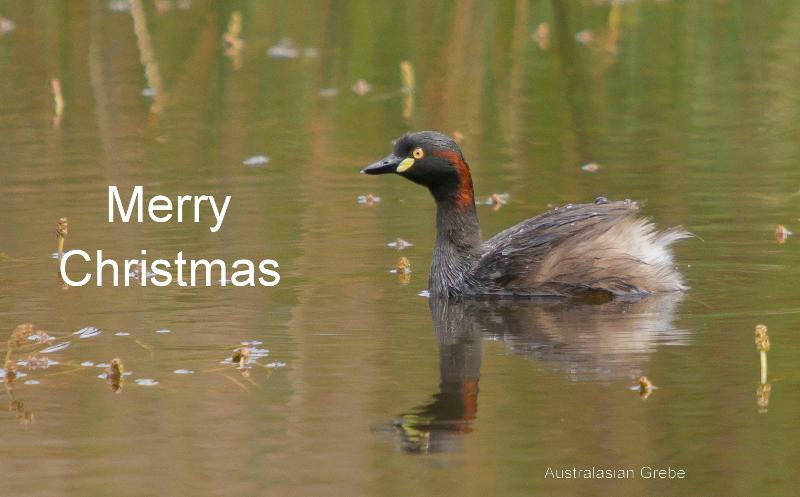 I have a soft spot for Australasian grebes, having spent many hours trying to get a photograph of one that included more than a little fluffy backside disappearing underwater or the ripples where the bird had been a millisecond before. I know exactly how that goes! This is only the second time I've managed to get close enough to photograph them, and the first in breeding plumage. I hadn't noticed the beautiful red neck markings before either. Hope you have a gret Christmas, too, Alan. 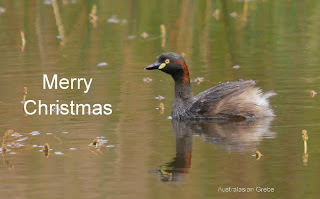 We're off to Darwin and the Top End for some birding just after Christmas - subject to brewing Cyclones!! Much envy over your trip, which sounds just great--not sure of your timing though! Keep safe.